So, a few days ago, a conversation I was having on g+ crossposted to this blog. That wasn’t intentional, but I let it stand, because it brought a few more people into the conversation and (also important) let me check out how well the google+blog integration for wordpress was actually working. What with one thing and another, I haven’t been able to play a lot of tabletop RPGs for the last… umm… lifetime of my youngest child. That doesn’t mean I’m not paying attention to (or kickingstarting) new games coming out, but I haven’t really been talking about them much, because I’m not playing them, and I feel playing a game is sort of important when determining if it’s worth recommending. “Dungeon World is an interesting game to read” isn’t exactly a value-add for the global conversation. But FATE is different. I’ve been playing FATE (a little) and more to the point I’ve been playing with FATE (a lot) in terms of really digging into the rules and seeing what I can do with them. I thought I’d share what I’ve found so far. Once upon a time, there was a game called FUDGE, which was really more of a free toolkit of basic rules mechanics, a guideline on how to add color and setting flavor to those rules, and a very energetic group of folks on a mailing and IRC list, playing with the tools in the box. Much later, Fred Hicks and Rob Donoghue (both guys I knew through the online Amber DRPG community) came up with FATE, which was basically the first publicly distributed version of of a FUDGE hack they’d been working on and running games with for a long while — I think of this public, Open Gaming License version of the game as Fate 2.0 (with Fate 1.0 being the private version), though I don’t know if that’s accurate. I did a lot of gaming stuff with that version of FATE, as did Dave Hill (specifically with the espionage game he was running at the time). I enjoyed it a lot, though it certainly had it’s rough edges. The game continued to develop, and while a “Fate 3.0” never really saw the light of day officially, more advanced versions of FATE continued to be released as parts of new ‘branded’ games. This ‘era’ saw the release of Spirit of the Century, which focused on pulp-era heroics and was a big one that I played and ran a lot. Thanks to the way Fred and Rob (and now Lenny Balsera) distributed and supported the rules, lots of other game designers got in on the fun and wrote their own games with the FATE rules. Diaspora — ‘hard’ science sci-fi — was one that I also played and enjoyed. The big score for FATE during this period was probably the massive Dresden Files RPG, which showed some real growth and evolution in the way the game’s developers were using the game. Things went a bit quiet for a bit, which is usually a sign that there’s something going on behind the scenes. The result of that period of relative silence was FATE Core, and the FATE Core Kickstarter. The FATE Core kickstarter started out with a modest goal of $3000 to release a PDF of the new game version. Instead, the project attracted over ten thousand backers and over 425 thousand dollars, and the stretch goals took the project from a single new PDF of the rule book out to Hardback rulebooks, new games, a ‘ultra-lean’ Fate Accelerated Edition that takes Fate Core and boils it down to 42 pages, more new games, dozens of settings and worlds worked out for the rules system, a young adult novel written by Carrie Harris… it’s crazy. Just crazy. But What’s the Game Like? 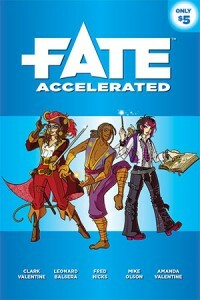 The PDFs for FATE Core and Fate Accelerated are both out now for a “pay what you like” download. I’ve had a chance to mess with them for months as well, so let me see if I can sum it up. This is a game that is intended to let the narrative drive the rules and not the other way around. This is a fancy way to say “figure out what you want to do, say what you want to do, and how to do that in rules will be obvious — don’t start with the rules, start with the story.” It demands characters that are proactive, and assumes those characters are competent. The game uses classic Fate dice, specifically four. These are standard six-siders, with two sides are marked with a +, two sides with a -, and two sides blank. They are read by adding up the results, so ++[blank] – = +1, which is then added to your rating in a relevant skill, which are rated from 0 to 4 by default (though this range can be extended). Most importantly, the game uses descriptive Aspects to represent important… umm… aspects of everything in the game, from characters, to scenes, to entire campaign settings. 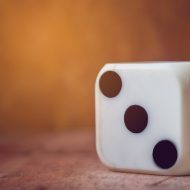 These Aspects are used to justify influencing the story or dice results; for instance, by providing bonuses to die rolls, allowing reroll of bad rolls, creating (or simply permitting) special effects, or being used as a justification for an action. Aspects are double-sided things, and can be used for or against anyone, regardless of where they originated. In FATE, you can treat anything in the game like it’s a Character. All of these aspect are those the players can use to boost their actions or justify pretty much anything, and that’s ignoring the Aspects the characters themselves have. When you’re playing someone trying to negotiate the peaceful surrender of a castle under siege, both sides of the conflict might consider calling up bonuses from any of these before they ever mention their own traits (like “Kingslayer” or “Too Old to Care About Anything But a Good Death”). More importantly, since everything in the game can be treated like a character, and Aspects on characters can be changed, you have legitimate (if not at all easy) ways to get rid of the Queen — hopefully the replacement will be better. For those who have played other version of FATE in the past, I’ll simply say that the mechanics for conflicts are more streamlined than ever before. Forget about complicated ‘zone maps’ with ‘borders and barriers’ and all of that stuff. Forget about Block actions. The authors have taken a hard, hard look at the rules and realized that in many cases they were just using different names and applying minute edge-case rules to a bunch of stuff that was really all the same thing. Conflict, for example, has been boiled down to four clear, straightforward actions without costing you anything in the way of flexibility or options – you’re less restricted than you may have been in older versions of the game, because you don’t have to remember all the different options: it’s so much simpler now — figure out what you want to do first, in the story, and the rules will follow. Fate Core is excellent. And, if anything, Fate Accelerated is even better. As good as Fate Core is, it’s still a 300 page rule book. Fate Accelerated is 42 pages, and manages to be both satisfying in terms of the character depth is provides (sacrificing none of the nuances of Aspects in the pared-down rules), and quite possibly the best set of pick-up-and-play rules around, which is awesome for someone with limited time. The big difference between FAE and Fate Core is the skill list: FAE doesn’t have one. Instead, characters rate Approaches (reminds me a bit of In a Wicked Age, which would be a great FAE Hack). Once Kaylee gets back from Grandparent Camp, she and I (and maybe Katherine, if Kaylee can convince her) are going to take this out for a spin. So far, I’ve worked out characters in FAE ranging from Marvel superheroes to Doctor Who companions, and read some wonderful examples of characters ranging from Star Wars to Warhammer40k Space Marines — maybe the only version of WH40k I’ve read that I’ve wanted to play since Space Hulk. There’s too much for me to write about in this game. From the fact that you do campaign creation during character creation, to the chapters of GM advice that make the PDF worth paying for by themselves, I feel there’s something for everyone, and I’m sure I’ll be writing about it some more (if nothing else than just to share the Doctor Who write-ups I’ve done). 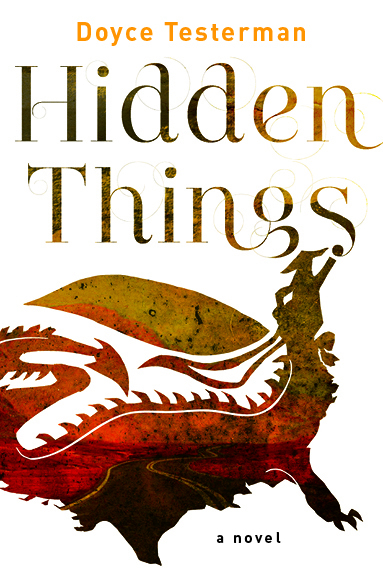 If you want a comprehensive review, try this one or, for FAE, this one. I think it’s a great game, and for a couple bucks (or even free, if you’re particular cynical/suspicious/doubtful) you can’t beat the cost of checking it out for yourself.